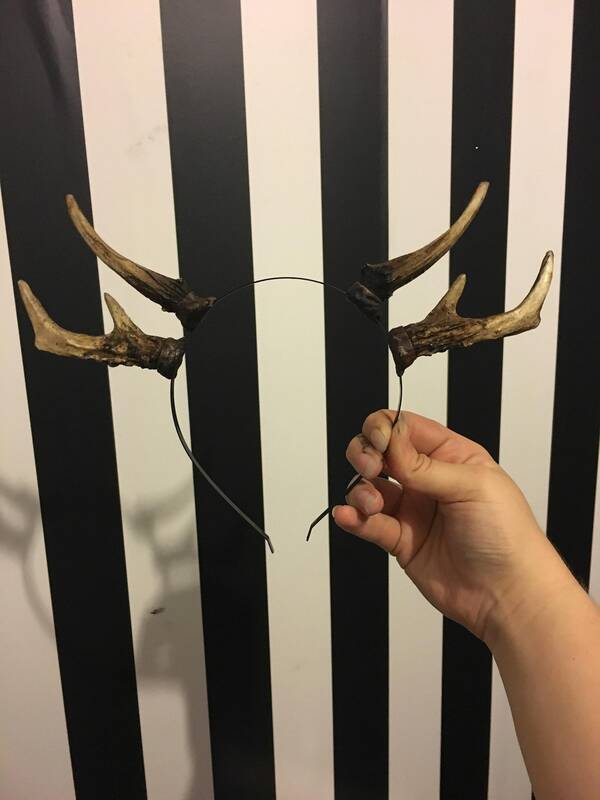 These gorgeous antlers are cast in light weight resin at the Hysteria Machine laboratory. Attached to a discrete black metal head band they can be worn to look about as close to natural without trying to glue them to your head. This set can take 1-2 weeks to process before shipping.